Rock on Lizzy J...you've won a copy of The King's Grace!! I'll be sending you an email shortly. I hope you enjoy it as much as I did! As always, a HUGE thanks to everyone who entered and helped spread the word about this contest! Be on the lookout for my next giveaways: The Greatest Knight by Elizabeth Chadwick and Cleopatra's Daughter by Michelle Moran! Congratulations Lizzy J, I've just read Anne Easter Smith's previous 2 books and they were excellent. I'm looking forward to reading this one. That Lucky Lizzy J! Congrats to her! Congrats to Lizzy J!! 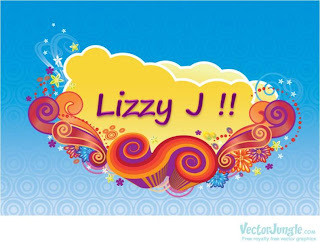 I wanted this one too, but I am so glad Lizzy J gets it, she is a sweetheart! Gosh you all are so sweet to me! Thank you Amy I am so excited about this one. I can not wait to read it. I almost bought her two other book yesterday, but the husband "book police" stopped me because I wanted to buy a pile of books. Now I am defiantly going to have to go back and get them now! Thank you so so much! I love the graphic ah so pretty! Congratulations Lizzy...you are one lucky gal!